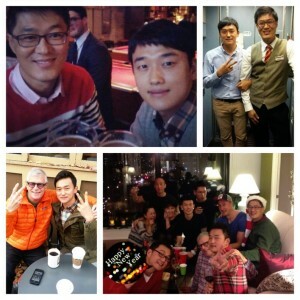 JIN SU PARK from Korea: A great Alumni story! 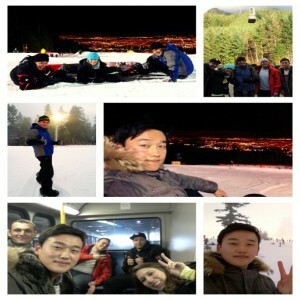 Jin Su Park, from Korea, shares his experience while taking the General English Course (Low Intermediate) in Vancouver. Let me introduce myself. My name is Jin Su Park from Korea. I completed a hospitality Management degree at Semyung University in Korea. Also, I used to work at Sheraton Hotel in Seoul. I have chosen a Co-op Program with EC Vancouver because I wanted to improve my English skill and have an experience working for a hotel in Canada. I thought that the Program suited me. 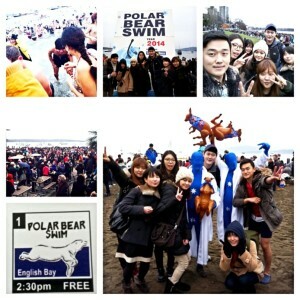 I was studying English in EC Vancouver, and can’t believe that I already graduated from the school in April. Before I came to Vancouver, I had a lot of questions. For example, I had to choose a country, city, school, period, course, price, food and house Etc. Among them, the biggest worry for was “how can I build friendships with Canadian friends?” or “which city in Canada is the best city to avoid Koreans?” During my stay in Canada I didn’t want to have a conversation in Korean with classmates in order to improve my English. Currently, I look back on the time that I had worries. It was totally wrong and unnecessary because all of EC students have thought the same in my opinion. Nobody wants to speak their own language. Also, the staff of EC always assists students to make them speak English only. Now I want to share my story of Vancouver’s life with some tips. 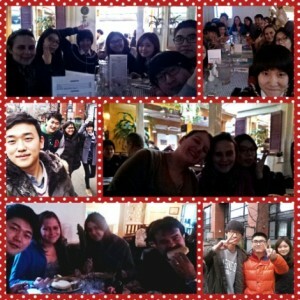 I’ve had a good experience with my new friends who I met in Vancouver so I have never felt lonely. 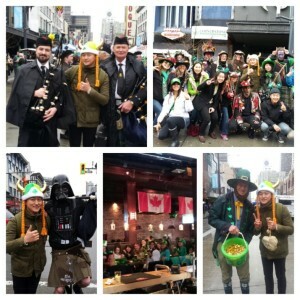 In Canada, age, nationality and culture do not matter when making friends. 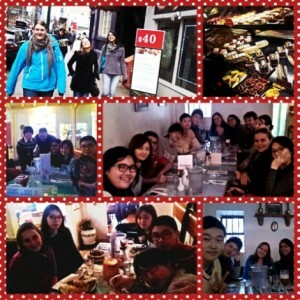 I wish that these happy days didn’t have to end, although I’ll go back to Korea eventually. “When you are bored what do you do?” My hobby is playing guitar. After school I usually go outside to have conversations in English. There are a lot of artists on the street. I have played guitar with them more than 5 times. I usually go to Tom Lee Instruments Shops. 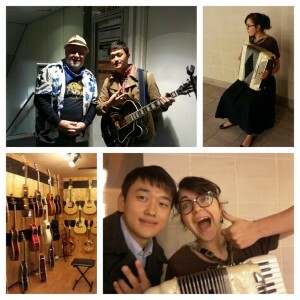 I have met a lot of people who like playing guitar. I have learned how to play guitar in other ways. It was really fun and useful for me. In winter, there are many ski resorts in Vancouver. I prefer to go snowboarding than to go skiing. The first time, I went to Grouse Mountain for snowboarding, I saw a night view of Vancouver that was awesome! The Second time, there was a blizzard. I thought it seemed like the Himalayas. If it is raining downtown, it is raining on the mountain. You should remember that. 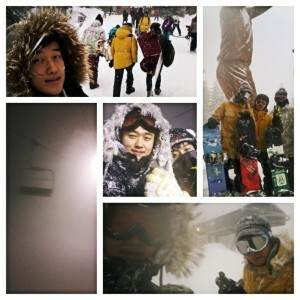 Anyway, we enjoyed snowboarding for 7 hours with goggles. I’ll never try to do that. In Downtown, there are many foreign restaurants. 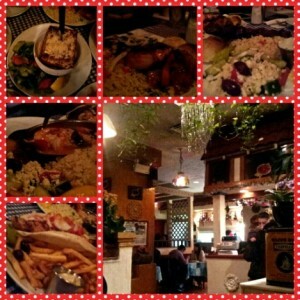 I recommend Greek restaurants which are cheaper than other restaurants and they offer high quality food. If you have never tried Greek food before, you should choose the beef set menu. It is located on Davie St and Robson St. If you really like to go fishing, let me know. My Kendo classmate will introduce you to his friend. His family lives in Squamish. There is a very long river. 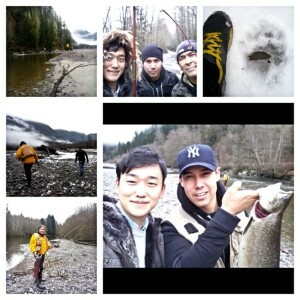 Originally we planned to go fishing for Salmon just 1 day but we changed our plan. I slept one night in his house. At that time, I learned about Native people in North America. It was a sad history. 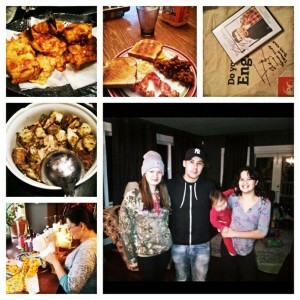 And also, his wife made a delicious dinner and used salmon in a traditional way. I was really happy and lucky. “Let’s join the Festivities!” There are so many Festivities in Vancouver. 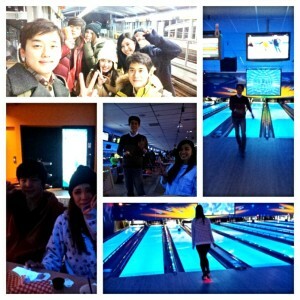 It is the biggest amusement for me to go with my friends. 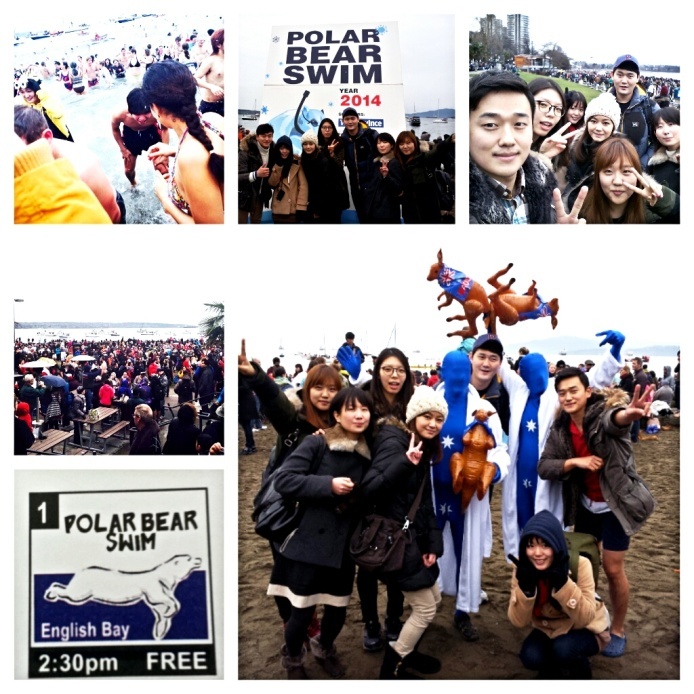 The Polar Bear Swim Festival is held at English Bay every year on January 1st. It has a great meaning. Reset your mind when you go into the sea water. I wished that I could speak English fluently and that my family would have good health. “Let’s join the school’s events!” I always make new friends during the activities. It will help you to improve your English skills. Our school offers us a lot of things. Besides outdoor activities, for example: writing club, pronunciation club and conversation club were really useful for me! I used to take the free classes. If you want to join them, you should look at the student’s board located on every floor beside the Elevator. “Let’s go to the community center!” I strongly recommend you go. 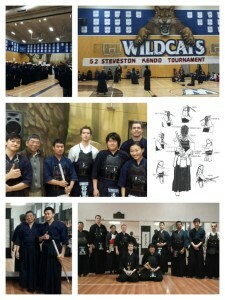 I joined the 52nd Steven Stone Kendo Tournament with Sun Rises Kendo Club. We won the Tournament. If you want to learn Kendo, I will bring you to East Hastings community center. I don’t know what are your hobbies but there are many activities there, for example dancing, yoga and fitness Etc. I have a lot of useful information about living in Canada. If you are interested in my story, I would love to discuss it with you and answer your questions. 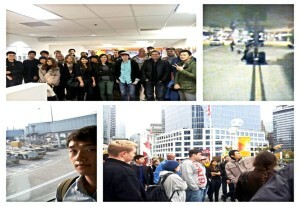 EC offers various English Courses, including TOEFL in Vancouver.